Breeder and exhibitor since 2006. 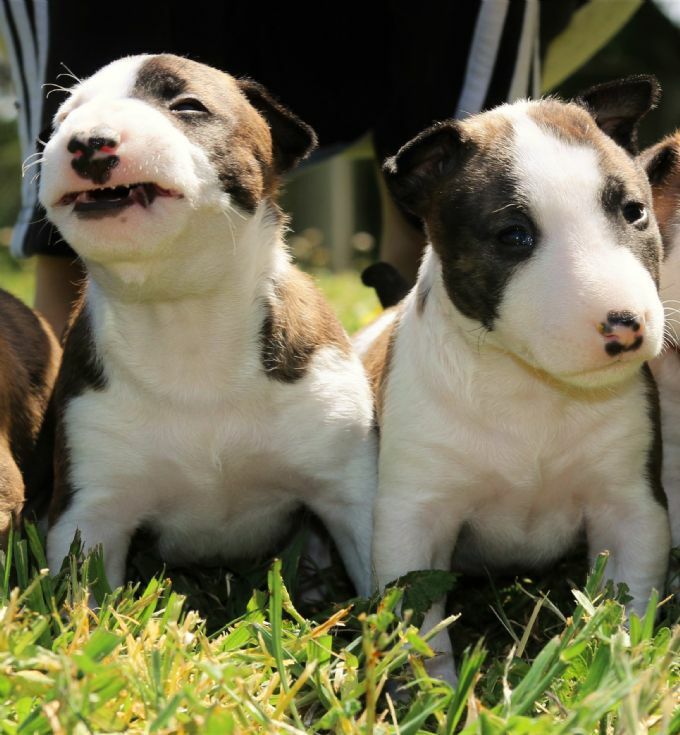 Please note we are taking a break from breeding Bull Terriers and are only focusing on the miniatures until further notice. We may be expecting mini puppies in April. Please check back for updates or send us an email to be considered for a baby. 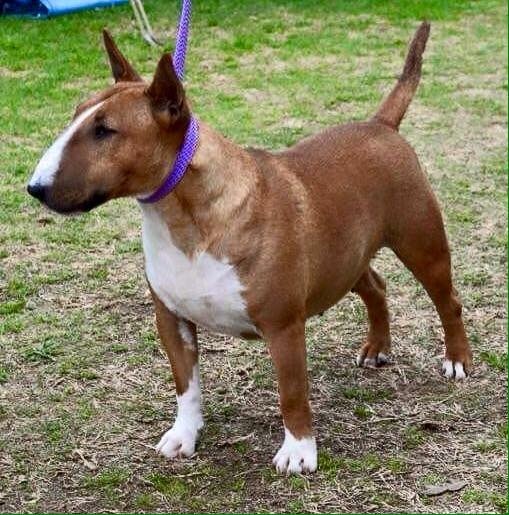 'Australian Champion Scarlettoro NL Red Velvet' Ruby is a lovely little miniature loved and owned by Natalie & Hollie Hughes (Bullytiger/Minimagik kennels) and Joy Schafer (Schardale kennels) in NSW.